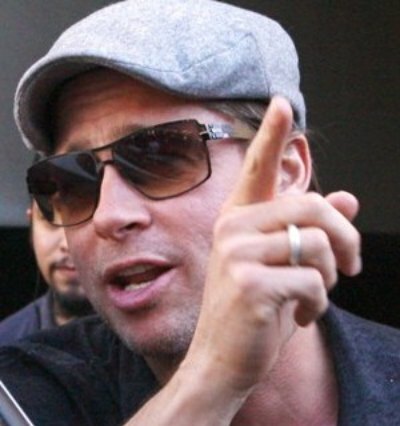 Brad Pitt was hanging out at The Grove over the weekend, when snappers caught a photo of the ring on his left hand! Is that a wedding ring? Does Brad have something that he wants to share with the group? Tell us, have you finally decided to take the plunge with Angelina Jolie? Maybe it’s because they already feel married….If you’ll recall, they have said in the past that they don’t plan on getting married until everyone is able to. Angelina Jolie & Brad Wrap The Kids Up And Take Them Out! Brad Pitt Not Interested In Kissing A Man!